Plot: A waitress dreams of becoming a great actress in order to win the affection of a stage struck co-worker. Stage Struck was filmed entirely on location in the small river town of New Martinsville, West Virginia. The entire town was "stage struck" over the presence of Gloria and the film crew and they watched their every move. Gloria recalls the filming fondly in her autobiography and remembered all of the humorous events that took place involving the locals. The fantasy sequence in which the waitress Jennie Hagen imagines herself playing Salome was filmed back at the studios and was filmed in 2-color Technicolor which was rare at the time. After viewing the rushes, Gloria accurately predicted that it would be a big hit. 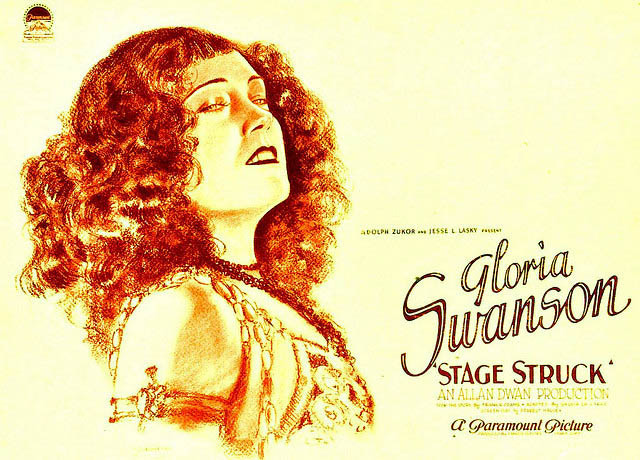 Sadly, this would be the last film for Gloria and director Allan Dwan. She had signed with Universal Studios and was about to become her own producer. 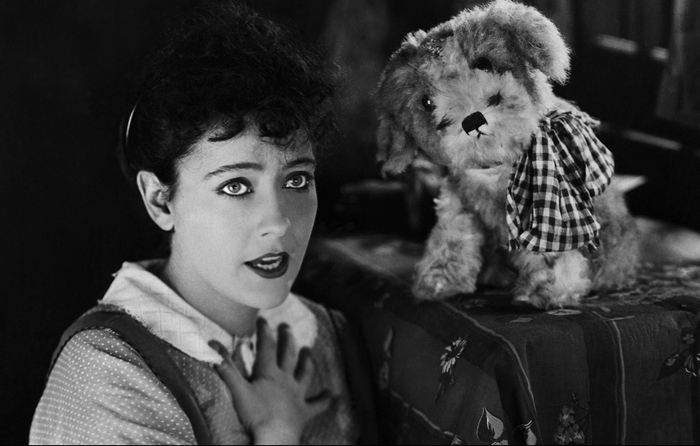 As a result, Jesse Lasky was furious and as a means of punishment, he dismissed Allan Dwan as her next director.